You may have noted that the colour scheme is light and pastel. 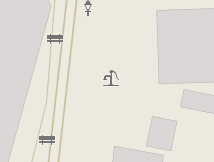 This is certainly an aesthetic choice offering a nice contrast with the "standard" OpenStreetMap style. Consistency in the colour is also key to the readability of a map. But there was another goal for this. Now maps are everywhere, whether it is online or printed. But a generic map like the one we are building is generally only part of the message: whether it is online or printed, maps are often used with some custom data on top of them. For example, markers can be added to an online map to show specific points of interest. But also, more simply, they can be printed in order to draw on top of them. This could be details of a trip, a vaccination campaign, or additional map data when mappers are surveying. In all those situations, the map should do its job, providing geo information, but also leaving visual space for the main message. More than a map, this is a tool we need in our toolbox. It is an answer to our aid organisation partners, who often ask "How can we have a map which is more suited to our needs?". We also need a map like this for our mappers. 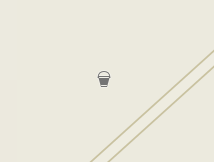 One of the easiest and most satisfying achievements when learning how to add data into OpenStreetMap, is to see this data appearing in the map, but for humanitarian mapping we have been adding data which does not appear on any maps (for example the road surface). We found that people were sometimes frustrated or confused not to see those details appearing. This new map style is therefore a kind of a quality tool. It focuses on data we rely on, and makes it easier for contributors to see where the data is missing, where some data has been added. The supported tags also correspond well with the Humanitarian Data Model and ties in nicely if you edit using the "HDM datamodel" JOSM presets and the JOSM in-editor HDM style. Just as with OSM data, the style will be continuously updated. Maybe because of some new feature we will add, maybe because of some bug, maybe to make some style refinements. Some of the changes we have planned include improved rendering of different types of IDP/refugee camps. We also hope to improve DEM handling on the server to bring you the terrain shading wordwide (currently only in some HOT active areas). In any case, this style is community based, and everyone is welcome to suggest changes. 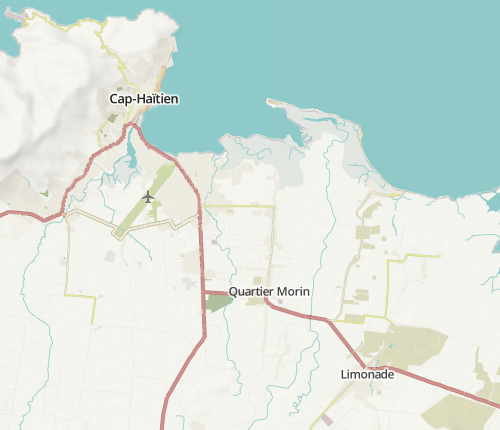 Please use the github tracker to do so: https://github.com/hotosm/HDM-CartoCSS/issues/ The CartoCSS files, which you can work with in TileMill, and the new icon graphics, are all maintained openly on github https://github.com/hotosm/HDM-CartoCSS and are available without restrictions (CC0 license). The Humanitarian style was (so far) developed by myself with help from the French designer Anne Mattler, and Jaakko Helleranta, Will Skora and others on the CAP103 project in Haiti, funded by USAID, and also from Paul Norman and Andrew Buck. Thanks also to MapBox for the toolbox (Tilemill, Mapnik, CartoCSS, Maki icons...). Finally a big thanks to OpenStreetMap France for hosting the tile server and rendering systems on their servers. Please note a tile usage policy is being developed for this service. For now please adhere to the standard OSM Tile Usage Policy when accessing these tiles. We hope you enjoy the new map style!